I’m super proud of this recipe for two reasons; 1) I love a pun and 2) it’s really yummy. I fell in love with chai tea when Mr H and I went to India in November 2013 (which now feels like a lifetime ago); we’d drink it in little terracotta pots which we’d then smash on the floor afterwards (which is the local custom rather than through our sheer clumsiness I might add). The combination of a blend of intense and comforting spices and a gorgeously creamy texture make it such an amazing drink, and you only need a little as it’s pretty rich! 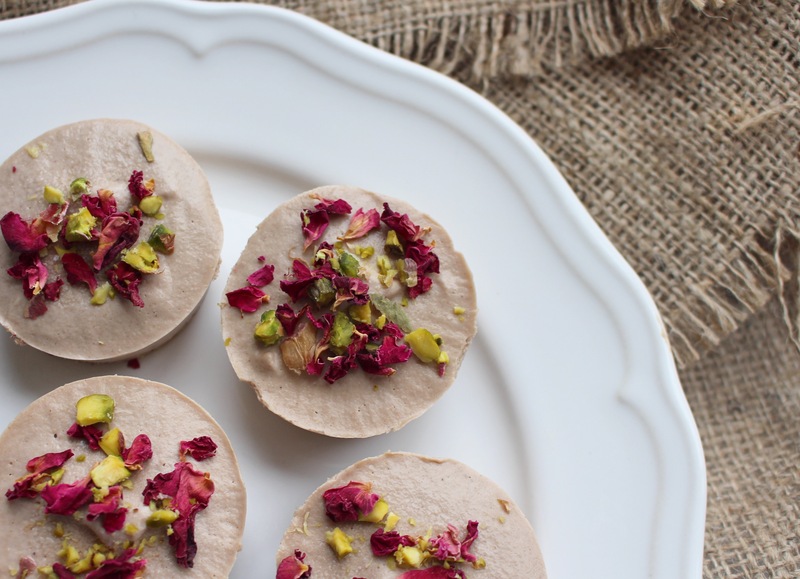 These little cheesecakes have got all of that creamy and spiced deliciousness, but without any of the refined sugar or dairy found in the traditional beverage. They still taste incredible though, thanks to the creaminess of the soaked cashews and the sweetness of the maple syrup, and you only need six ingredients to make them! 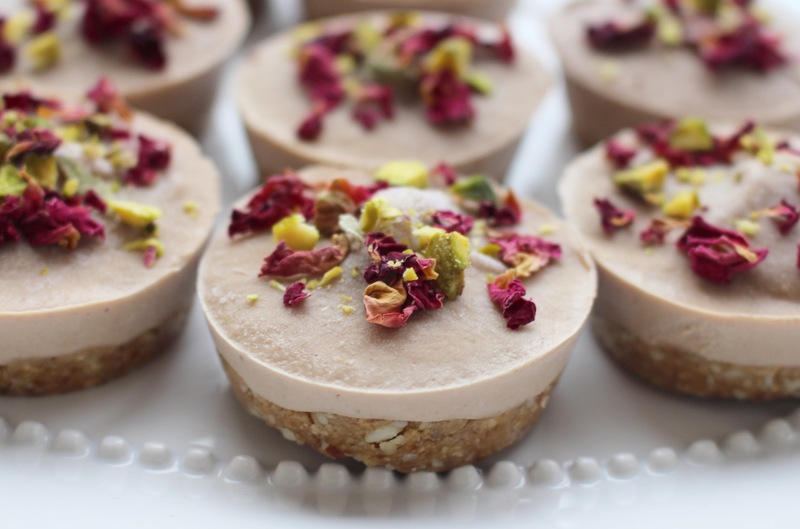 I’ve made them into mini cheesecakes as just like the real thing they’re quite rich so you only need a little but you could make one big one and I’m sure it would be equally as good! For the chai layer, blend the cashew nuts, chai milk, maple syrup and coconut oil in a blender until they form a smooth, thick mixture. Spoon this into your moulds on top of the base layer and put them in the freezer for an hour or two to set. Remove from the freezer 15 minutes before eating.